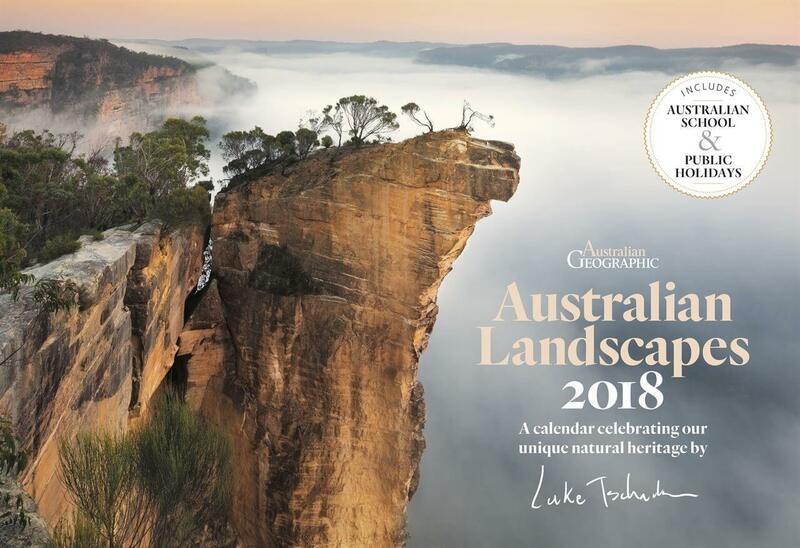 The Australian Weather Calendar showcases Australia’s amazing weather across our magnificent landscape—and has made a favourite Christmas gift for more than 30 years. 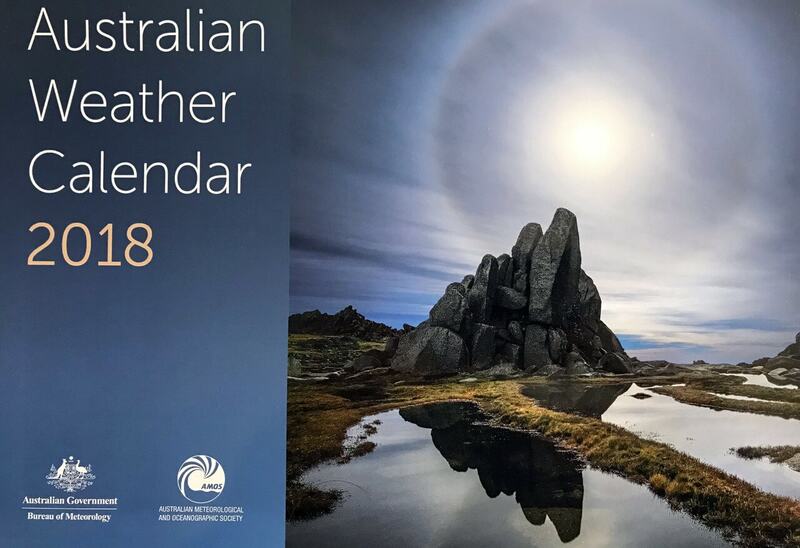 The 2018 edition features awe-inspiring, intriguing and uniquely beautiful images of Australian weather and climate. There are pictures from all over the country and the weather in each is simply and clearly explained by the Bureau’s experts. 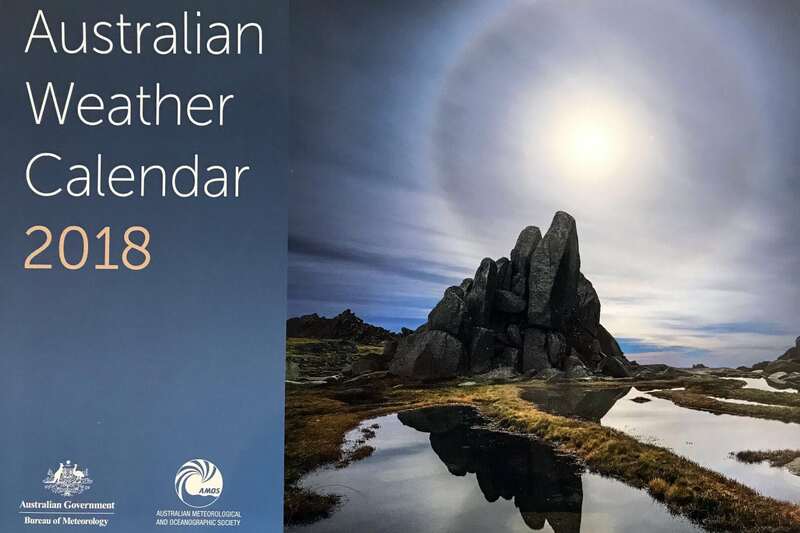 It also contains stories about how weather, climate and other environmental information support the well-being, prosperity and safety of all Australians. The calendar is full-colour, spiral-bound, and designed to hang on the wall. It comes in two sizes: the large format (594 x 420 mm), which features landscape photographs about A3 size; and a smaller format (220 x 310 mm closed, 440 x 310 mm open), with photographs about A4 size. Thirteen carefully selected photographs from all corners of Australia, each capturing an authentic and breathtaking weather experience. Simple explanations of the weather in the photographs, with full-colour diagrams. One month to a page, with large daily squares to write your appointments and activities. Daily squares marking Australian public holidays, daylight saving dates, moon phases, solstices and equinoxes. Weeks that start on Monday, making it easy to record weekend activities that stretch across Saturday and Sunday. Monthly average weather conditions for 12 major cities—including average maximum and minimum temperatures, and average rainfall.